Hexisan Equipment not only helps do the job, it does the job for you. Most devices are merely activated with the flip of a switch. Since Hexisan Equipment tends to be efficient, compact and highly technological, the Hexisans don't part with it easily. Many of the below pieces cost nearly ten times they would if they were Terran made, however, Hexisan Equipment also makes the work ten times easier to get done. Resonating Opticoressecutator is the ultimate in survival. This tungsten reinforced pack was developed by Novacon engineers to help exploring scientists stay alive in even the most hostile environments. The Resonating Opticoressecutator has many different options, but its fundamentals are to keep its carrier alive no matter what. First, the Resonating Opticoressecutator uses its seventy different scanners to map out the area to the best of its knowledge, find viable water sources and locate trusted shelter. It also uncovers nearby threats including storms, fires and dangerous life forms. The Resonating Opticoressecutator also has an array of different filters which can help cleanse water, clean contained air (or offer 24 hours of air for the wearer incase of poison gases or water) and detoxify edible plant tissue. The Resonating Opticoressecutator also has a wide range pulse communicator which can reach considerable distances comparable to basic space transports. 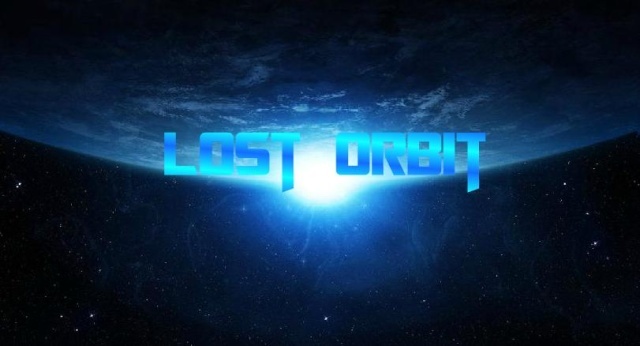 Users beware, the Resonating Opticoressecutator however, can not protect the carrier in zero gravity environments such as space. The Resonating Opticoressecutator lives off of a plasma reactor and can go without recharging for up to a year. The Retina Xenoscalpel is a bizarre, yet lifesaving tool about the size of a grapefruit This programmed health robot has over seven-hundred micro medical tools built inside of it, all which are designed to save the life of its user. Upon activation, the Retina Xenoscalpel will roll to whoever has activated it, using its sticky like tendrils to attach itself and/or climb up on the intended target. From there, the medical-bot completes a full analysis of any wounds, ailments or abnormalities, attempting to heal them. This allows the user to not only be aided, but also act accordingly in case of an emergency. The Retina Xenoscalpel can be used three times in the field before needing to be replenished. It has an inventory and maintenance program which lets it know when to plug itself in, recharging it for its next use. Special: Takes one action to activate, and moves as soon as it is turned on. The Retina Xenoscalpel has a movement of 10 in case its user moves after turning the device on. 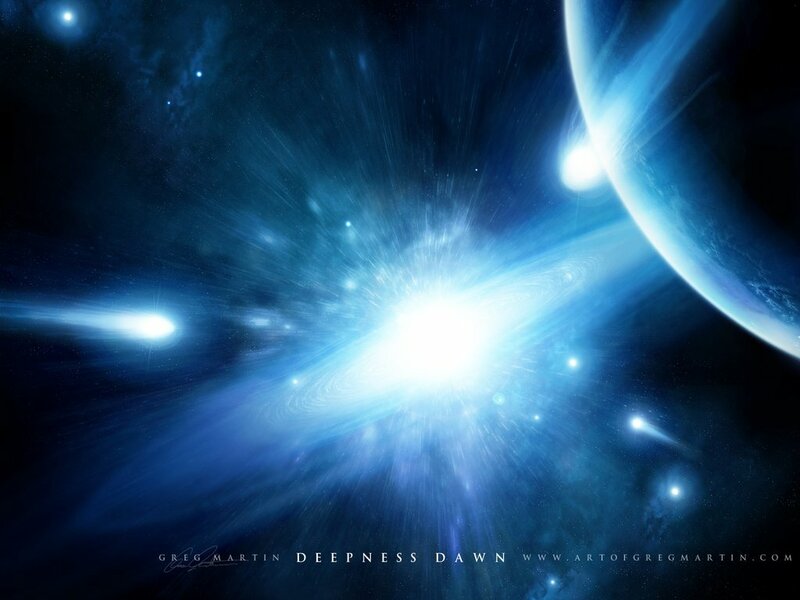 The Atmospheric Generator is the latest in psionic technology. Using programmed psi-crystals, the Atmospheric Generator can create a safe, gravity based environment that users may operate in order to explore chaotic atmospheres. Upon being triggered, the Atmospheric Generator releases a 4-meter radius sphere around the transportable device that creates a gravity rating of 9.81 m/s2 , surroundings comparable to most life supporting planets (Aether, Earth, etc). The crystal inside can maintain this atmosphere for up to 24 hours, at which time it needs to either be replaced by a new crystal or recharged (recharges on its own after 24 hours of rest). This device is particularly useful for explorers who are traveling in low gravity surroundings, keeping them and their equipment grounded. 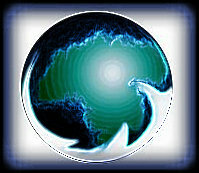 However, developers highly caution that using the Atmospheric Generator within gas or liquid planet will cause anything within the generator’s surroundings to be violently pulled into the core of the planet, destroying both the device and any items within its sphere as it crashes within the planet’s hot nucleus. 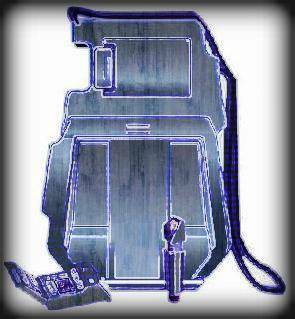 An Isolathe is a transportable, single-user device used for short term transportation or heavy lifting. 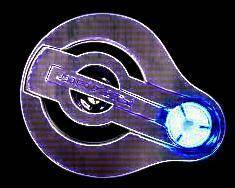 The Isolathe is a circular meter sized board made of Titanium that negates gravity under its transmitter located on the bottom of the device. While its initial design was developed in order to help transport heavy equipment, the Isolathe has also become very popular as a piloted transport machine, nicknamed the Grav-Board. Using a simple remote control (hand held or arm band are most popular), the controller can move the Isolathe and any cargo with the simplest of ease. The Isolathe can move up to 909 Kilograms (1 ton or 2000 pounds) at a speed of 8 meters per five seconds so long as it is within a 30 meter radius of its remote control. It can also use its gravity transmitter to lift equipment up to 10 meters high. The Isolathe stands out as a rare type of transport because unlike most vehicles that use propulsion, the Isolathe simply negates gravity. Unfortunately, the Isolathe does not work in zero-gravity atmospheres, making it useless in space. 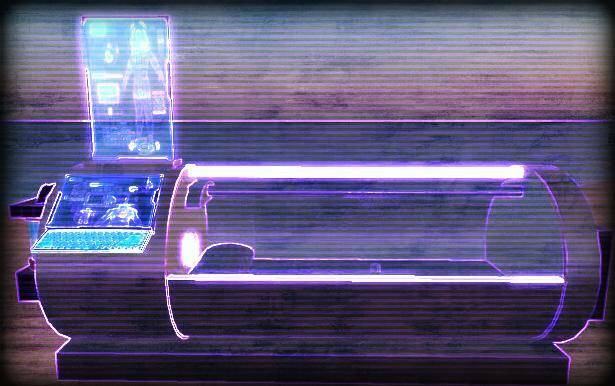 Since the gravity transmitter is a highly energized piece of equipment based off of a micro-reactor, it does not need to be recharged, however, creators warn that after a hundred years of use, the core becomes unstable and should be sent back to the distributor for proper disposal. The Maser Vise is a piece of equipment that can be programmed to not only locate precious metals, gems and liquids, but also mine through heavy material in order to get to the target material. This football sized tungsten cylinder has several geo-sensitive sensors that upon activation, locate the desired material programmed by the user, searching as deep as 16 kilometers (10 miles) underground. The Maser Vise can then be instructed to either retrieve a sample of the material (taking an hour per kilometer) or dig a man sized hole to the target (taking 3 hours per kilometer). The Maser Vise can do so because of its Smart Metal technology (similar to smart weapons). Several winged blades retract from the Maser Vise once its mining mode has been activated, blades charged by a thermal plasma generator. The blades can cut through nearly any material except for Titanium or Tungsten and creates either a direct hole (for retrieving sample materials) or crawlable ant like tunnel for travel. Since the Maser Vise uses a thermal plasma generator, it does not need to be recharged and cools nearly immediately after deactivation (2 rounds). Manufacturers warn though that the thermal plasma generator does become unstable after a hundred years of use and should be sent back to the producer for proper disposal. The Transportable Life Support System (TLSS) is a Novacon developed device designed to keep a single user safe when stranded or lost in unfamiliar territory. This meter sized tungsten tetragon appears to be nothing more than a bulky, transportable computer. However, upon activation, this compact piece of equipment stretches out nearly 3 meters, revealing its true purpose. The metallic bed has a reinforced glass roof, cushioned interior bedding plus an internal and external computer. Charged by a plasma generator, the TLSS can keep a single user safe from most stable environments while inducing them into a peaceful hibernating state. The TLSS feeds, hydrates and oxygenates the passenger while activating a distress beacon that reach out to several hundred light years. The user can program when they’d like to be awaken from their induced coma or if they’d prefer to be awoken upon rescue (or for those who don’t mind going mad, they can bypass sleep all together). The TLSS can work in deep space, water, land or gaseous environments. It is an immobile device without a method for self-transportation. 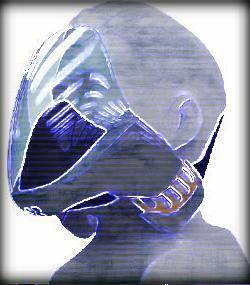 The “Hydro-Bacteria Mask” is a facial breath mask produced by the Rasari Race. The bacteria inside can convert breathable air from oxygen based environments into aquatic oxygen for gills via rapid ventaliation filtration. The Hydro-Bacteria also can filter out poisonous gases for hours due to the living microbes insides. The mask has one mode of operation and can not be used by those who breath via land based respiration. It is not a substitute for a vac-suit and can not protect the wearer from the pressures of space's atmosphere. Replacement filters and canisters are cheap and easy to change out. A "Hydro-Bacteria Mask can easily be held on an equipment belt or backpack and comes standard with most Rasari Wet-Cloaks. The "E-Vac" Belt is a hard, metallic belt worn over the torso and waste. It can be concealed via clothing and worn comfortably throughout the day. The Hexisan E-Vac suit is equipped with a set of sensors that upon detecting hazzardous environments (deadly gases, unbreathable water, deep space), immediately activates, covering the wearer in a sealed, full body suit. This vacuum suit provides up to 24 hours of oxygen (or water/gas for Elashani & Rasari). A Hexisan E-Vac suit must be customized to its wearer and is not convertable for other users w/ other body types (will not activate). Many Hexisan researchers, explorers and space travelers use the E-Vac Belt, taking advantage of its smart-technology when faced with dangerous environments. These helmets come in many different shapes and designs. The psi-technology can be customized and integrated into existing helmets as to protect the user. The helmet defends it's wearer from all but the strongest or most unexpected of telepathic and empathic attacks. This is achieved due the psi-crsytal technology wired into the helmet itself. Hundreds of programmed crystals are laced into the center, giving the user maximum protection. Telepathic Resistance Helmets come in three grades, all which takes months of labor to create. They are by no means affordable to the most common of Hexisan citizens, but those who use them proclaim that they are essential to surviving a psychic attack. 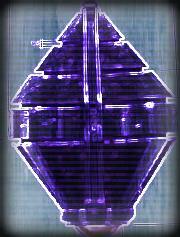 A Sustainer Gem is a piece of psionic technology that can be infused into an individual in order to help them sustain nourishment. By activating the gem over their stomach, a user infused the gem into their flesh. 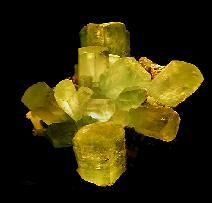 For an allotted amount of time, the jewel will offer sustenance to the person in the form of food of water. Users can still drink and eat accordingly, but are not considered hungry or thirsty no matter what the environment. This jewel works on any creature from -3 scaled to +3 scale, including Ullitors, who demand more nourishment due to their physiology. Prices are based off of how much psionic charged energy is programmed into the gem. This yellowish crystal is the bane of most psions. This hand sized, unrefined gem can be activated by cracking one of its protruding limbs. 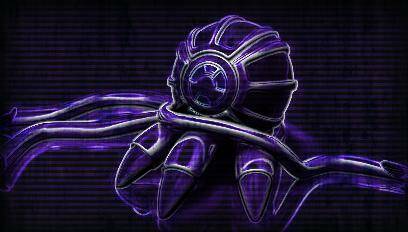 When done so, the Psi-Disruptor spills disruptive psionic energy within an area depending on its power. While mundane beings don’t seem to notice the Psi-Disruptor’s release of distracting stored energy, anyone psionicly active can feel the unsettling flow of force and suffers negative penalties to any checks, as well as serious psionic abilitu issues should they attempt to use them. A Haste Obelisk is a triangular shaped rock tube that is inserted directly into the brain. If inserted correctly (Heroic Medicine Check, DC 30), the Haste Obelisk not only automatically heals the user of any surgical damage or scars, but also grants them a new found extreme speed. This agileness adds +2 meters per round per rank to the user's Move rate, which in turn affects all other types of movement. A Flight Quartz is inserted into the spine with a successful Heroic Medicine Roll (DC 31+). Upon successful surgery, the target immediately heals from any surgery damage or scars and earns the ability to fly. The character can fly due to the psychically charged Quartz in their spine, and has a flying rate equal to their base movement times 2. The flying/O-G skill is required to maneuver. The Immunity Rock is an uncut gem found in the depths of Aether. The exotic gem must be kept raw in order for the psi-tech programming to work. To activate, this rock must be ingested whole (Three Consecutive Very Difficult Stamina Checks, DC: 25) and kept down for 8 hours. Upon doing so, an Immunity Rock grants the user permanent Immunity to all diseases and poisons. This palm sized red-diamond must be highly treated with psi-tech and cultured in order to get its coveted capabilities. 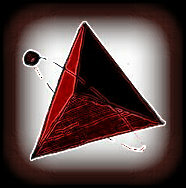 Once finished, an Energy Diamond is placed in the ear of the subject and activated by a psi-tech in order for the Energy Diamond to be absorbed. Once the process is complete, an Energy Diamond allows the user to absorb energy as the "Channel Energy" power, Absorb/Dissipate Energy, using the level as their dicepool for making checks. Difficult for radiation storms and other intense energy sources. may use this power to absorb energy attacks — the difficulty is Moderate plus the attack's damage roll. Example: A Goon is shooting a Psion. Rather than dodge behind cover, she decides to use absorb/dissipate energy to absorb the shot. The difficulty is Moderate plus the damage of the blaster bolt. For the Moderate difficulty, the gamemaster picks a difficulty number of 14. Psion rolls Channel Energy and gets a 21. If the blaster's damage roll is less than seven, then Psion absorbs the blaster bolt and takes no damage. If the blaster's damage roll is seven or higher, she takes full damage from the blaster shot. 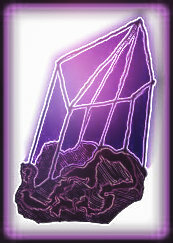 This highly developed psi-tech crystal is usually kite shaped after it is finished. The materials used to create this sapphire are found only in the dangerous meteors floating through the Planetary Graveyard and the gases of the Elashani's home planet. When a user has this Sapphire surgically implanted into their palm, with only the crystal still showing, the flesh seals the jewel into its physiology forever. 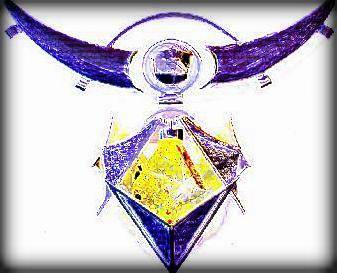 From that moment forward, the user may rub the jewel to gain the ability "Sense Life", much like the clairvoyant psionic power, Sense Life, but using their Investigation skill in place of the Metaphysics skill needed. 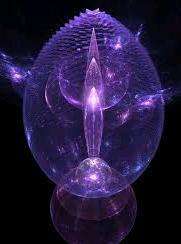 Sense Life: The psychic detects all lifeforms within the range of this ability. The psion knows their general number and location. 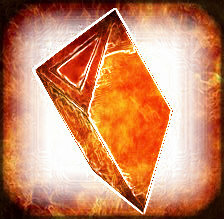 Rules: The Psion rolls their Investigation skill. Each target in range rolls their willpower. Subtract the willpower result from the psion's sense life check. If the number is positive, compare it to the chart below. This is the general result of the the psion's "Sense Life" detection ability. 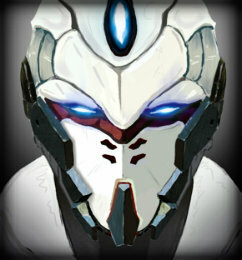 Range: The Psion's Investigation number X their knowledge in meters. This does not change or is not affected by the targets' willpower result. 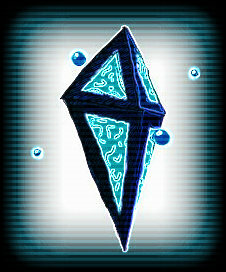 The Psion's stone is a rare rock found on most nitrogen enriched moons in Hexisan. The sharp rock must be left uncut and placed in the user's mouth for three days without being opened (including to eat, drink or speak). 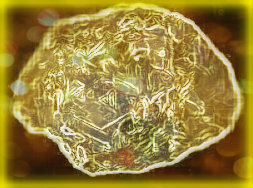 If on this third day the user has not opened their maw (Willpower DC: 25), then the yellowed stone dissolves, granting the user the Telekinesis. Telekinesis: The ability to move objects through Psionics. Object may be moved at 10 meters per round; add +5 per additional 10 meters per round. The target must be in sight of the Psion. + 1 to +5 for gentle turns. + 6 to +10 for easy maneuvers. a levitated weapon to attack. the object moves as the Psion desires. A Psion can levitate several objects simultaneously, but each additional object requires a new telekinesis roll. This power can be used to levitate oneself or others. It can be used as a primitive space drive in emergencies. When used to levitate someone against their will, the target may resist by adding her Perception or control roll to the difficulty number. Levitated objects can be used to attack other characters. 6D starfighter-scale damage if one to ten tons and 5D starfighter-scale damage if 11 to 100 metric tons. target doesn't dodge the attack, the difficulty is 10 + Cover and other Combat Modifiers.